Held at the Marina Theatre, these sessions are for artists, creatives, producers, arts organisations (both existing and emerging) to meet, strengthen connections and enable better arts networking in Lowestoft and the wider eastern region. We organise regular informal meet ups, talks, workshops, information and skills- sharing sessions, debates and conferences. We work with the members to develop, define and programme what the groups feels will benefit them. The next forum will take place from 7pm on 23rd April 2019. This is a free event and there will be refreshments available too! Please note the forum will take place in the Marina’s first floor meeting and rehearsal space which is accessed by stairs only. This project is part of Making Waves Together, a wider partnership project led jointly by Great Yarmouth Borough Council and Waveney District Council, and funded by the national Great Place Scheme, which is seeing communities and organisations in both areas work together to boost the cultural offer and drive cultural re-imagination as a way of supporting success in the seaside towns. 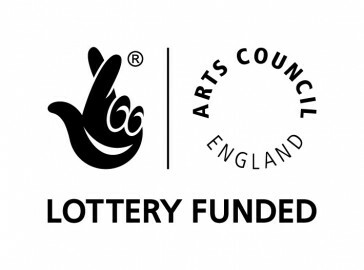 Making Waves Together is largely funded with a grant from the Great Place Scheme, delivered by Arts Council England, the Heritage Lottery Fund and Historic England. For more details, call Will Isgrove on 01502 533231. Pictures: Rebecca Osborne and Mick Howes.